There’s nothing like sliced fruit as a healthy snack on a hot summer day! 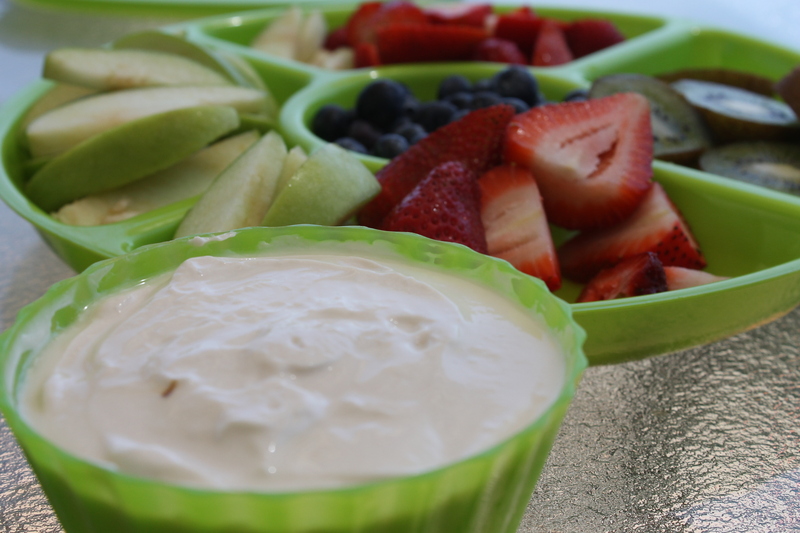 Today, my friend brought her kids over and we had a beach day – but before we headed down to the sand, we enjoyed some organic apple, blueberries, strawberries and kiwi fruit with this fruit dip! It’s quick and easy – and not TOO unhealthy. 2 TBSP Brown sugar (you could try coconut sugar too, I bet it would be great!